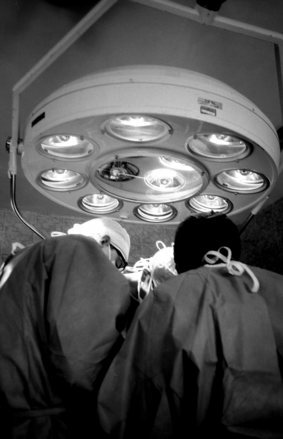 In Massachusetts medical malpractice law, the “loss of chance” doctrine permits recovery of damages for the destruction or reduction of the prospect of achieving a more fa vorable outcome. Deviation proximately caused the injury (i.e., the loss was a foreseeable consequence of negligence and the negligence was a but-for cause of the loss of harm). Causation of injuries in medical malpractice lawsuits is always proven through expert witness testimony. The loss of chance doctrine is usually applied to cases wherein plaintiff had a 50 percent or less chance of survival or some better outcome prior to the alleged negligence of the doctor. In cases where a plaintiff had a 50 percent or greater chance of survival/ better outcome prior to the alleged wrongful act, courts will usually apply the “more likely than not” standard. That requires plaintiff to prove it is “more likely than not” he or she would have had a better outcome were it not for defendant’s actions. The reason is under traditional concepts of causation, a plaintiff with less than 50 percent chance of a positive outcome wouldn’t have grounds for a claim. The loss of chance doctrine gives them a platform. A recent case out of Washington state dealt with this issue. In that case, plaintiff visited his primary care provider in 2011 for a lesion that had developed on his left foot after he suffered a puncture wound. His primary care doctor referred him to a podiatrist, who saw him the same day and diagnosed him as having a non-cancerous lesion. Podiatrist recommended two possible courses of treatment: The first surgery or the second cryotherapy. Plaintiff chose the more conservative treatment, which was administered that day. Plaintiff was instructed to return in 10 days. When plaintiff returned, the lesion still had not gone away. The doctor this time recommended surgery, but also gave plaintiff the option of a more conservative course of treatment, and plaintiff chose the latter. That treatment was administered and instructions were given for plaintiff to return in 10 days. However, plaintiff did not come back as scheduled. Then two months later, plaintiff contacted the doctor to complain of soreness and asked for an MRI. The following day, the podiatrist saw that the lesion had gotten bigger and recommended a biopsy, though he did not suspect cancer. Plaintiff sought a second opinion, and that doctor also diagnosed the legion as benign. That doctor too recommended surgery, but plaintiff chose the more alternative treatment. The next month, a dermatologist performed a biopsy and found the results positive for melanoma. Plaintiff underwent surgery and the cancer was removed, but it recurred. After unsuccessful chemotherapy and radiation, plaintiff’s left foot had to be removed. Plaintiff filed a medical malpractice lawsuit against the employer of the original podiatrist, alleging he was deprived of a 40 percent chance the cancer would not recur had a proper diagnosis and treatment been rendered at the time. Defendant argued plaintiff had been contributorily negligent in delaying follow-up care and seeking a second opinion. Trial court granted plaintiff’s motion to instruct the jury on the loss of chance doctrine, and found that a but-for causation standard was appropriate (rather than the substantial factor test, which is less stringent). The court also granted a partial summary judgment disallowing defendant from arguing contributory negligence in this action. In its review, the state supreme court ruled that the but-for cause analysis was the appropriate standard moving forward, and the defendant should be allowed to present evidence of contributory negligence. The case was remanded to trial for further proceedings.